If you have read the blog in the past you will have seen that I actually bought this pomade quite a while back now. However I have only just started to use it. I have always stuck to using clay or wax products so I didn't really know what to expect when I applied this product. 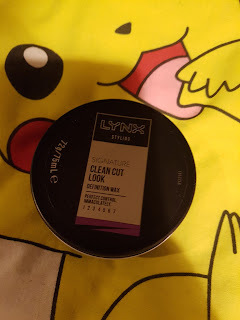 I never thought I would be using a Lynx product on my hair, I love their deodorants so when I saw the hair styling items and their amazing price there was no way I was leaving that shop empty handed. I have mentioned on the blog before how the clay is one of my favourite products and that is currently my go to everyday styling product. So here is what I thought of the pomade. The packing is simple and the lid actually stays shut which is perfect for when I am out and about. I can throw it in my bag and not have to worry about the lid coming off and the product going all over. The tin is also quite slim so it doesn't take up much room if you was travelling around. Even though it is only a slim tin, the product does go a really long way so you won't run out too quickly. Like all the other Lynx products I absolutely love the smell of this pomade. The smell isn't too strong but you definitely know it is there. 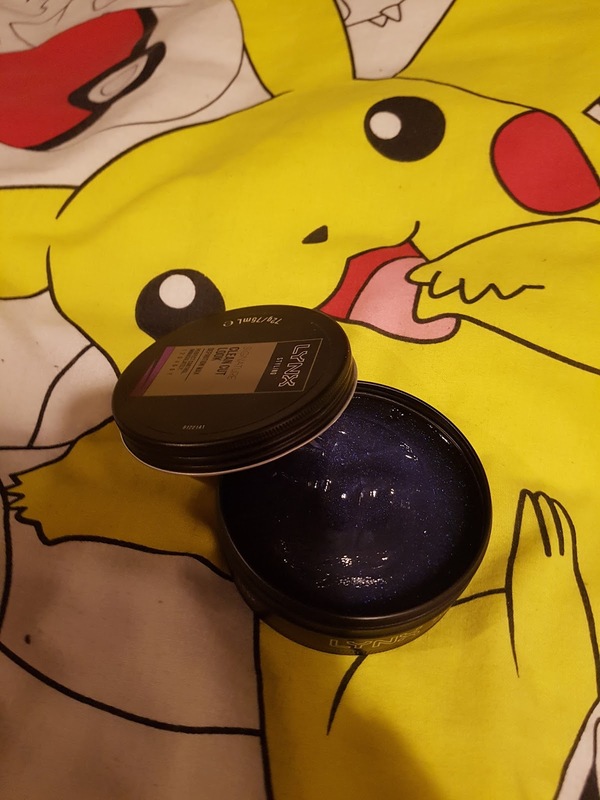 I honestly thought the smell may be a little too masculine for me however I don't think this at all, the only issue is after applying you can was your hands for ages and the smell of the product doesn't seem to go away for a while. Now this is something I am still making my mind up on. As the tin says it is a clean cut look pomade, and it definitely did give me that type of look. The pomade is a gel like substance and one that I aren't too familiar with as this is the first time I have used one. The first time I used it I used too much and you could see it all settled on my hair, however the second time was a lot better and it gave me a slicked back kind of look and a very wet look for my hair. It is getting much better when applying now as it is just taking a lot of practice. As I said above this give me a slicked back kind of look and I only used a little of this topped off with a bit of hairspray. It actually lasted a full day, granted this was only in a low wind and dry day but I have since used it whilst it was raining and windy and it only moved a little so I didn't really top it up as I was still satisfied with the look it give me. I am actually really satisfied with this. At the time I purchased it I believe it cost me £2.86 so it is excellent value for money and the product really does work on my particular style of hair. I would honestly consider buying this again when I run out. If you are looking for a cheap pomade product I would definitely recommend you give this a go. Can you recommend any other pomade's for me to give a go? Let me know. Schwartzkopf do some really good hair products like pommades, clays and gels!